I studied at International Violin Making School in Cremona (at the time IPIALL) with Primo Pistoni, Wanna Zambelli, Alceste Bulfari, Giorgio Scolari and Stefano Conia, graduating me in 1980. I had the great luck changing teacher each year and each year restart with a different system of work. For two years I worked at “Workshop-School” a workshop of transition between school/job appropriate to ex-students of school, financed from CEE and directed by Gio Batta Morassi, where I more learned also by comparison with other violin-makers colleagues . Here I made my first instruments: some violins Stradivari model and a pair of violas. 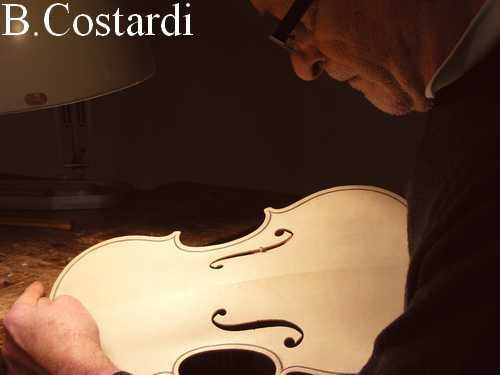 Until 1985 I worked always in Cremona in Corso Garibaldi: violins cremonese model mainly for Japanese resellers market, some violas always Stradivari model and my first Amati models. 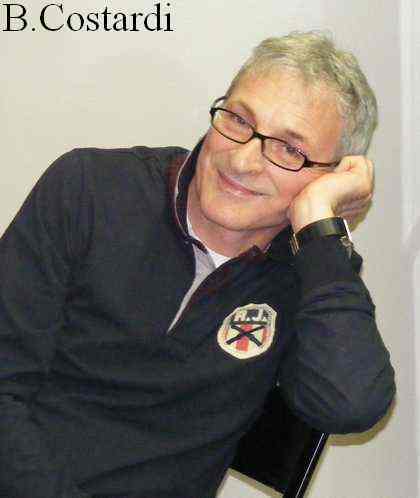 In 1986 I open my workshop in Bergamo with M. Cavazzuti and A. Bozzini. Violins Stradivari model yet, not anymore in the “neocremonese” style, but watching the originals. After some violas and finally cellos. He began study and research on procedures of varnishing using natural local products. Since 1994 I make instruments oriented to the taste of musicians and inspired directly by old specimens. 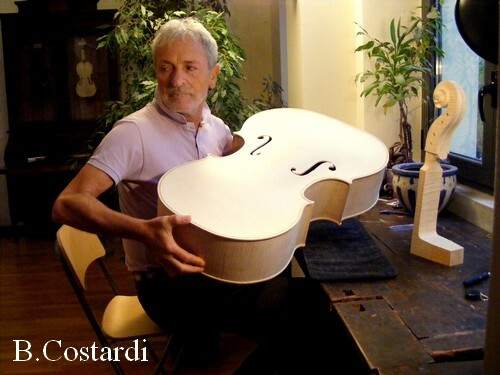 I make my first instrument in non-Cremonese style: one cello on model of Santo Serafino of Venice and a Quartet. After violins on model of A. Guarneri and Pietro Guarneri of Venice. 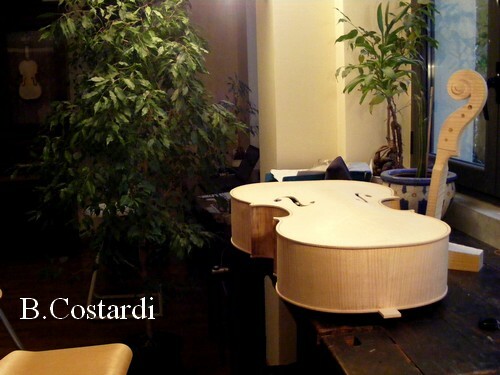 I gather informations about Baroque instruments and I start making on model A. Amati and A. Guarneri (with originals dimensions and neck nailed). From the end of 90's (and I thank Filippo Fasser to had convinced me) I start to work on Brescians models (violin and viola Gasparo da Salò) instruments very appreciated by musicians. In 2008 I start to make violins on G.Guarneri (del Gesù) model lightly antiqued, with varnish in patina. From 2013 I resume with satisfaction the Stradivari model 1715 (after 15 years) this too a bit in copy and with antiqued patina. Until today I constructed 213 instruments: violins, violas, cellos and viola d'amore.